Many people would like to use External hard drive to backup all information from our computers. 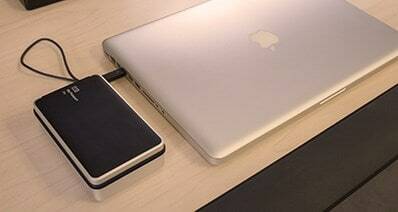 And people usually use external hard drive device in order to keep their important information safe and secure. But what to do when loss External hard drive data due to varies reasons like deleted the files mistakenly, virus infection, formatted the drive, etc.? Can you recover data from external hard drive? The answer is yes! You can get help from a reliable external hard drive recovery software. And the important thing is that you should stop using your external HDD to avoid overwriting the data. There are many external hard drive data recovery applications that can restore files from external hard drive for general users. 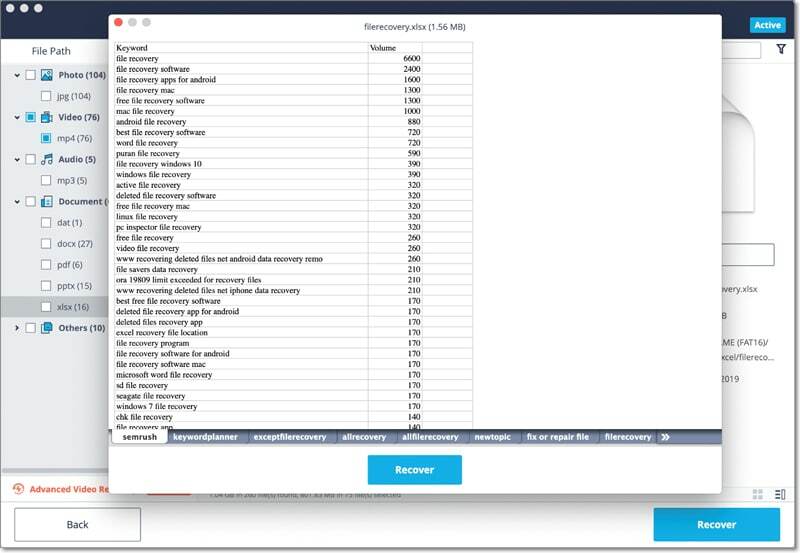 iSkysoft Data Recovery for Mac is one of the best external hard drive recovery Mac applications which can help people recover all lost data, like pictures, videos, audio, documents, and many other important data, from the external hard drive on Mac. Just download the software and connect your external hard drives to Mac computer (including Yosemite, El Capitan, macOS Sierra and macOS High Sierra). 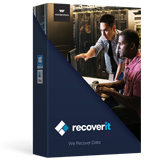 Launch iSkysoft Data Recovery for Mac from the Applications folder after installed. In the primary window, first give a try to select the corresponding file types for your lost data. 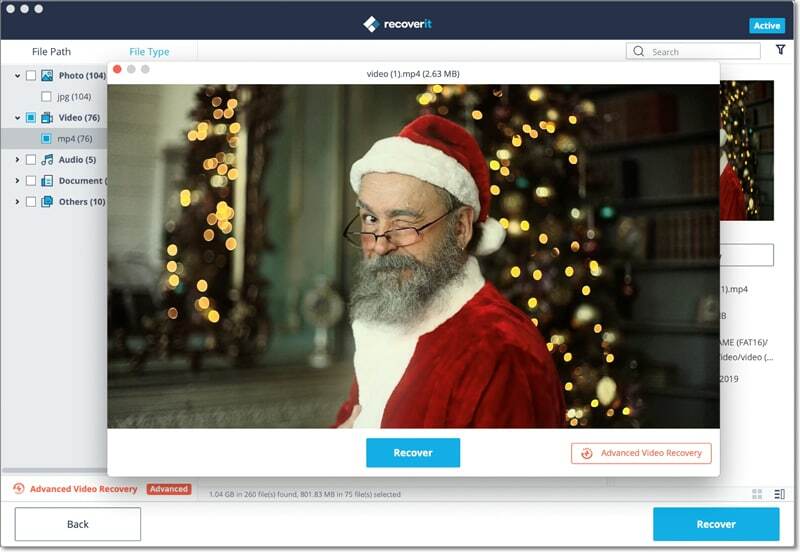 You can select to recover which type of files, like video, image, document, archive or email. 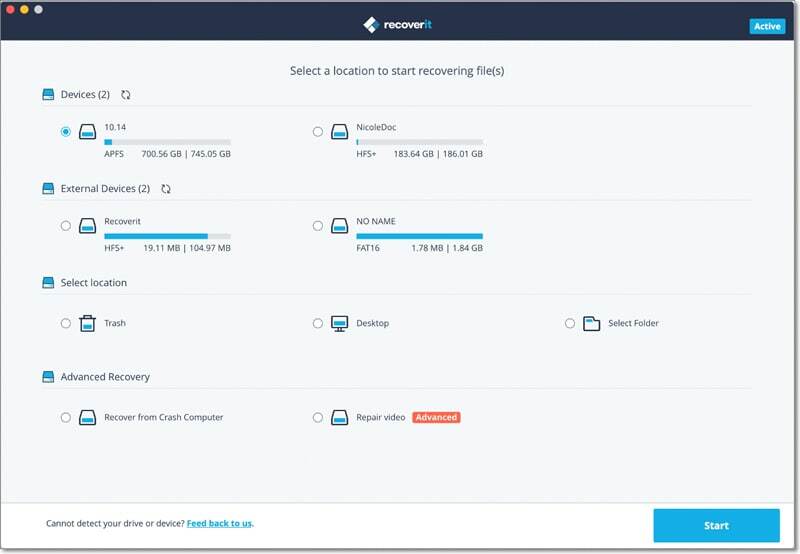 This program can help you quickly recover deleted files from your external hard drive. The original file names and folders can be retained. In the next windows, choose the drive you want to recover lost files from and click "Start" on the bottom to scan existing files on the selected drive. When scanning is over, find your lost files in the list. You can use the preview feature to see whether your files have been found out. To recover files, check the boxes of files you want to restore, and click the "Recover" button on the right bottom. In the resulting window, select a folder on your Mac (macOS 10.12 Sierra included), rather than on your external hard drive, and click "OK" to start the external hard drive recovery process. This external hard drive data recovery enables you to recover data from LaCie hard drive as well as other brand hard drive.